When a horse wins a Grade 1 Chase by 57 lengths I would say that’s an obvious starting point for discussing the weekends racing! In what were, let’s face it, prime conditions for Bristol De Mai, the 6yo stormed to the third G1 of his career and fired in quite easily the best performance of his career. It would be hard to argue that wasn’t the best race he had ever run but much easier to argue the exact, or even rough, level of the performance. The Racing Post said he ran to an RPR figure of 185. Timeform said he ran to 173+. The official handicapper has put him up 13lbs to OR 173. The RPR figure looks a shade high but at the end of the day they are not saying that’s what he is rated and that’s what they expect him to run to every time he takes to the track from now on, they are simply saying that’s the figure he ran to on Saturday. Given the margin of victory and the manner in which he achieved it I can, kind of, if I really strecth my imagination, see how they came to that conclusion, albeit it’s still probably at least a shade on the high side. To put it in context they only had Kauto Star running a better figure than that ONCE, Denman NEVER ran a better race than that and Best Mate, well he barely got in the ball park of that figure! OK, I’ve changed my mind, 185 is looking a bit crazy! Timeform suggest he ran to 173 and has the potential for further improvement (hence the reason for the +). Again, I kind of get that, he is ‘only’ a 6yo and could well still be improving, certainly based on his two runs so far this year, and 173 (+) looks about right. The official handicapper raising him to OR 173 also looks fair enough. It puts him 4lbs ahead of current Gold Cup holder Sizing John, which at the minute I’d say is fair enough as well. Sizing John only beat the grotesquely overrated Empire Of Dirt by 3/4L in the Irish Gold Cup at Leopardstown, with the ‘not-as-good-as-first-though’ Don Poli a further 3/4L back in 3rd. He then beat Minella Rocco (?!?) in the Gold Cup and was only 1.5L ahead of the regressing Coneygree in the Punchestown Gold Cup. For me Sizing John is sitting pretty much where he should on the ratings. 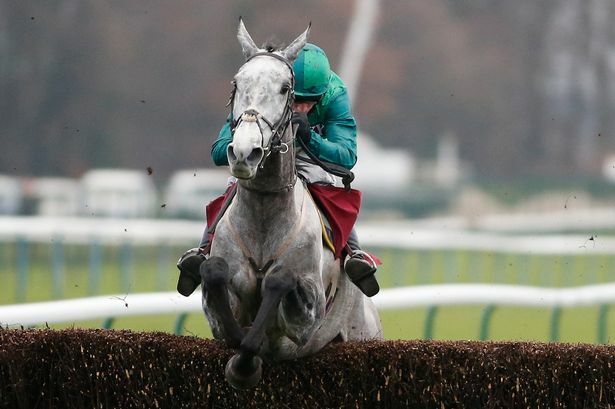 Now Sizing John could still be on the improve, very much so, but we’ve not seen him yet this season and I fully get why Bristol De Mai currently sits ahead of him on official ratings. Personally I don’t think there was any way he couldn’t have been put up into the low to mid 170’s for the run, it was a devastating performance from the 6yo and whether you agree or disagree with the figures being banded about he’s a horse that deserves utmost respect when the mud is flying and even more so if he finds himself in a race he can dominate AND there is a healthy lashing of juice underfoot. I love a good Paul Nicholls angle, I really do. Plenty will tell you that you can’t make money following him but I’m here to tell you that’s bullsh!t! Do your homework and you’ll find any number of profitable angles for his string, they might not make you rich but they will certainly keep your bank ticking along sweet as you like. Nice and simple and although not making you a ton of profit it’s a safe and secure addition to any portfolio. There was one qualifier over the last weekend and it duly obliged, in the shape of the exciting 4yo DOLOS. The youngster was making his chasing debut on Friday and put in a very neat, straight and fluent round of jumping, typical of a Nicholls Novice Chaser that has clearly been schooled expertly by the trainer. He was given plenty experience over hurdles in his Juvenile season so he’s more battled hardened than some youngsters and on the evidence of his Ascot effort looks very likely to make a significantly better chaser than he was a hurdler. Nicholls made the wise choice to introduce him to the chasing game at a track, Ascot, where his chasers excel. One Hundred and Twenty Two percent above expectation!!! Now that’s what I’m talking about! Amazingly that tighter angle gives a form line of 21111321111311121! Holy moly! Like the Ascot angle this is another nice and simple approach to profiting from Paul Nicholls and again there was one qualifier over the weekend and it duly obliged, in the shape of the progressive CLAN DES OBEAUX. Regardless of what they did on their debut run the Pauling runners are out-performing market expectation by some margin on their second starts and are pulling in chunky profits in the process. There were 3 qualifiers on the angle over the weekend, with two of them winning (SP 12-1 & SP 6-1). its unfortunate nick mordins weekly updates were taken off online when he moved to hong kong. it was when kauto star won the 2009 king george earning 191 rpr that he made a suggestion when one horse is totally dominant,the lengths it wins by are amplified by so and so amount,cant really remember what he said ,but theres also the class 2 hcap chase ran after it. if you think about it 57l is 14.25 secs officially ,but the handicappers later on who ran 1st and 2nd were 42l and 48l behind on the clock so ,in theory would of came 2nd and 3rd if they ran in the betfair chase. now, no 2 races are run the same so if you split screen replay it ,yu will see that the handicappers were a bit quicker to the first few fences then it didnt take long for bdm to catch up then just get quicker at each fence. what you will also see is cue card and co were also well in front of the handicappers also once bdm got a move on,bdm’s gradual increase of pace at each fence dragged his rivals with him to keep track of him,thus causing cc,to and t4t in turn to make less then fluent jumps and go on and off the bridle,then eventually they were knackered and simply did well to get home without falling like tired horses often do. the handicappers ran a more sensible pace under the conditions so were able to come home quicker and less tired in the end.obviously though if they raced in the betfair,there’s no way there jockeys would of allowed them to be detached at the rear,they would of also tried to keep tabs with the main bunch and probably finished tired also and most likely not in front of cue card. i think a high rating is deserved but i have doubts he can produce this repeatedly like the likes of kauto star did.it cant be a coincidence his 3 longest margin wins have come at haydock on testing ground and yet cant seem to do it elsewhere and/or on better ground. interesting the 2009 king george had imperial commander well beaten in it,a horse who almost dead heated kauto at haydock previously and then won the gold cup when kauto star fell and not likely to win they way he was travelling and nudged along ealier than usual. i would put bdm in the imperial commander mould,truly brilliant under a certain set of circumstances but producing it under different conditions remain to be seen. accapella bourgois 32l grade 2 win ,lost next 3 so far.road to respect who takes a 32l hammering in that race wins the festival plate nto as ab takes a 61l beating in the rsa. kauto stars kg20009 win,lost gold cup nto at 8-11 fav. well beaten imperial commander wins gold cup. also does jessica harrington know her stats? i think i read before last seasons gold cup that no gold cup winner in recent times as ran on heavy ground during the season they won it.its fair to say cue card wont win a gold cup now,tea for two and the outlander possible could but on what weve seen of them 2 you wouldnt think so ,but bdm being 7 next march you would think as what it takes to do it. sizing johns no show might be a blessing in disguise. Yes, I’m with you in that I very much doubt BDM will be able to produce a similar result away from absolute ideal conditions, which, at the minute, appear to need to be Haydock or somewhere pretty damn similar. Wide margin wins can be deceptive but the handicapper does need to rate on what he sees and what has just happened (particularly when it comes to the winners) and I really don’t think there was any option but to rate him low-mid 170’s. I also saw something regarding the Gold Cup winners and heavy ground in that season, which was a bit of a surprise to me, but yes, possibly a smart move by Jessie Harrington! !